SunCoast Web Services, LLC. Promotes this travel guide of the Florida beach areas of Siesta Key, Sarasota, Longboat Key, Lido Key,Venice and surrounding area. SunCoast Web Services, LLC. 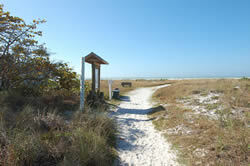 Has been a active member of Siesta Key Chamber of Commerce for more than 17 years. Serving beach vacation tourisim information. Proud member of the U.S. Chamber of Commerce. Representing companies such as travel, hotel, motel accommodations & Real Estate. Mote Marine Aquarium Partner. Explore marine life up close in Sarasota's attraction. Dolphins, manatees, sea turtles, sharks, sealions VISIT FLORIDA Partner, the state's official tourism marketing Corporation. Serves as Florida's official visitor source travel guide. Siesta Key Explorer Partner. Siesta Key map and souvenir fun guide. Recommended places to eat, and things to do. All rights reserved. Content is monitored, reproduction in whole or in part is prohibited. Travel Information guide: Link Permission & Advertising by SunCoast Web Services, LLC Legal terms and conditions.